Handling oil and gas litigation requires experience, knowledge of the industry, and the ability to create innovative and effective strategies. At DLJ, we recognize that millions of dollars are at stake for both plaintiffs and defendants. 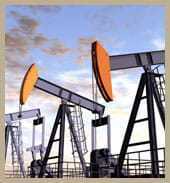 Oil and gas litigation is a specific type of practice area unto itself. Texas is well known as a major oil-producing state. The unique aspects of a lawsuit in the oil and gas industry are numerous and require the experience of a seasoned oil and gas litigation attorney. In one particular case, we represented Diamond Offshore Drilling. Our client alleged that a large oil and gas equipment manufacturing company committed fraud, breach of contract, and breach of warranty in the failure, after 30 days, of a $7 million deep-water drilling riser. That case itself involved 120 fact witnesses in the United States, Europe, and Asia and over 300,000 documents. In that case, our clients received a $22.75 million settlement. Our objectives are to collect the facts and identify and exploit the weaknesses of the opposing side’s case. For more information or to schedule an appointment regarding oil and gas litigation or operating agreement law, please contact us.